Arsenal ready to spend B-I-G! Really? 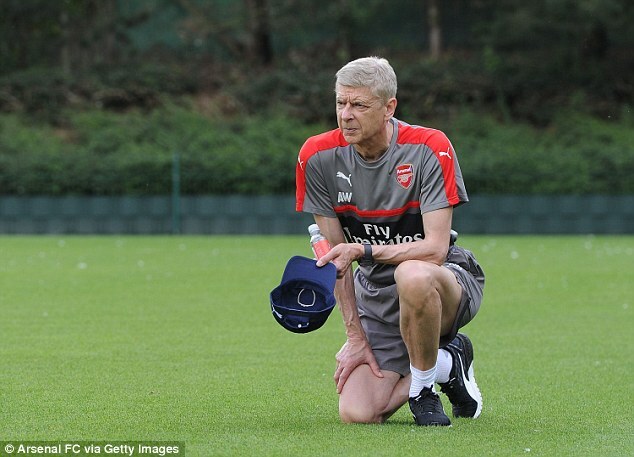 Arsene Wenger insists Arsenal are still prepared to ‘spend big money’ in the transfer market – provided the club can find the right player to improve their squad. Speaking after Arsenal’s 1-1 draw with Lens in a pre-season friendly on Friday, Wenger told ESPN: ‘We are very active, and if we find the right candidates we will spend big money. We have already spent big. The Frenchman has been renowned for his frugal attitude during the transfer window, but has followed the expensive signings of Mesut Ozil and Alexis Sanchez in previous seasons with the £35million capture of Swiss international Granit Xhaka. 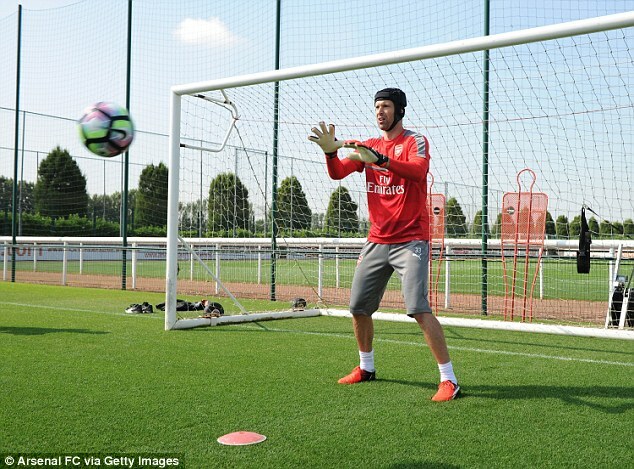 The former Borussia Monchengladbach midfielder trained at the club’s London Colney ground alongside the likes of Santi Cazorla, Hector Bellerin and Jack Wilshere on Saturday. 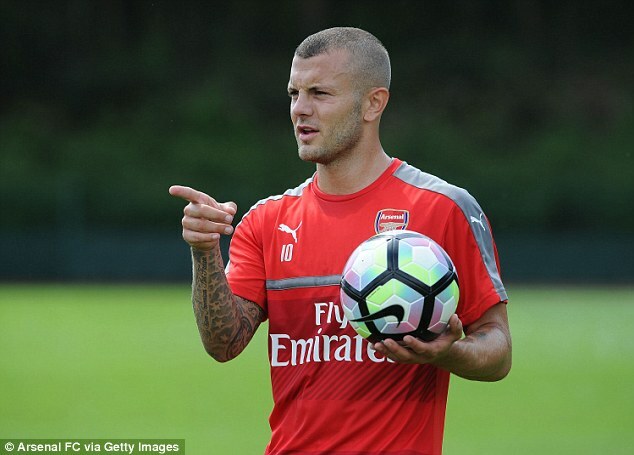 The England international trained with the latest Nike Premier League ball while sporting a new closely shaved haircut – unlike the quiff he had last season. They were joined by another recent arrival Rob Holding who was bought from Bolton for £2.5million – with Wenger hinting that the spending would continue. Wenger’s comments appear to contradict those by chief executive Ivan Gazidis who had previously claimed the squad was already good enough to win the Premier League without being drawn into rival’s heavy spending. ‘This approach, for us, gives us a very, very powerful balance because it’s not just about spending money but about how you spend your money and doing it wisely,’ Gazidis told ESPN. ‘It’s about having a strong core philosophy and values within the club that players buy into and our fans can be proud of. A world class striker is thought to be the manager’s highest priority, although with Juventus reportedly willing to meet Gonzalo Higuain’s £78million release clause the Napoli forward is unlikely to be coming to the Emirates. The Gunners have also been linked with Mauro Icardi of Inter Milan and Lyon’s Alexandre Lacazette, but Wenger refused to be drawn on any specific names before suggesting business could go down to the final day of the window. Arsenal head to the United States for a pair of friendlies in California, against MLS All-Stars and Chivas de Guadalajara, before completing their pre-season schedule against Viking FK in Norway and Manchester City in Sweden.